It was a great pleasure to welcome you to the 12th International Conference on the European Energy Market - EEM15, on May 19-22, 2015, in Lisbon, Portugal. The International Conference on the European Energy Market is the premier forum for the exchange of ideas and to discuss the development of the energy markets in Europe. It has achieved a huge success during the past eleven editions covering the electricity and gas markets policies and experiences, climate change impacts on the sector and developments at the European level. In 2015, the EEM was hosted by ISEL – Instituto Superior de Engenharia de Lisboa in cooperation with the Technical University of Lodz. The EEM15 included several plenary sessions with the highest keynote speakers from the European institutions, industry, market agents and prominent academicians. Our parallel scientific sessions covered a wide variety of topics including the European energy and climate policies, engineering and economics of energy and carbon markets, modeling, simulation and forecasting, regulation and competition laws. In order to encourage young talented researchers, the EEM15 promoted a Best Student Paper Award for the best papers from PhD and Master students. We have also prepared a rich networking and social program, enabling additional discussion opportunities among more than 300 participants from 37 different countries that attended the EEM15 conference. For all of these reasons, the EEM15 was an unique and rewarding experience and the venue to Lisbon was fantastic in many ways. I thank you very much for supporting the EEM which is has greatly enlarged its scope in this edition. EU Energy Policy: 10 Years Retrospect + 10 Years Forecast? Jean-Michel Glachant is Director of the Florence School of Regulation at the European University Institute, Florence (Italy). He is Professor in Economics and holds a PhD from La Sorbonne University. He is or has been Advisor at the European Commission (DG TREN, DG COMP, DG Research and DG ENER) of and Coordinator/Scientific Advisor of several European research projects like: Towards 2030, THINK, SESSA, CESSA, Optimate, EU-DEEP, RefGov, Reliance, TradeWind, Secure,. 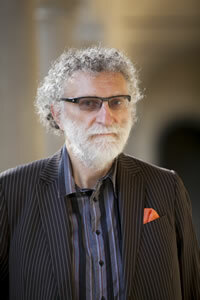 He is Research Partner of CEEPR, (MIT, USA) and EPRG (Cambridge University, UK). Chief-Editor of EEEP:(”Economics of Energy & Environmental Policy”) and member of the Council of the International Association for Energy Economics. He is also in the editorial board of Competition and Regulation in Network Industries, European Energy Journal, Latin-American Economic Review, Annals of Public and Cooperative Economics, Revue d'Economie Industrielle. Jean-Michel has been Member of the “EU-Russia Gas Advisory Council” of former European Energy Commissioner Oettinger. Last books are: “Manufacturing the Markets” (Cambridge University Press 2014); “Building Competitive Gas Markets in the EU” (Edward Elgard 2013). Jorge Vasconcelos is Chairman of NEWES, New Energy Solutions, a company acting in the field of renewable energy and energy efficiency in Europe. Consultant to several international organizations and national authorities. Invited Professor at the Technical University of Lisbon. Alternate member of the Administrative Board of ACER nominated by the European Parliament. First chairman of the Portuguese Energy Regulatory Authority. Founder and first chairman of the Council of European Energy Regulators. 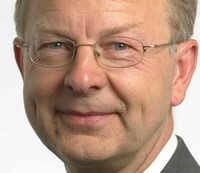 First chairman of the European Regulators’ Group for Electricity and Gas. Co-founder of the Ibero-American Association of Energy Regulatory Authorities. Founder and member of the Executive Committee of the Florence School of Regulation. Member of several national and international advisory committees on energy matters, including the 2011 EC Advisory Committee on the Energy Roadmap 2050. He graduated in power systems from Porto University and got the Dr.-Ing. degree from the University of Erlangen-Nuremberg. 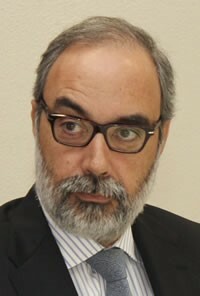 Pedro Neves Ferreira is Senior Vice President at EDP – Energias de Portugal, Head of Energy Planning and Risk Management Departments. His mission is to support the Board of Directors both in long-term energy planning and risk management decisions, namely portfolio definition and hedging strategies. He is also a Board Member of EDP Foundation and General Manager of the “Access to Energy” Unit. His role is to coordinate EDP’s activity in providing access to electricity to remote populations of developing countries. He started his professional career as a consultant with McKinsey & Company, being involved in Corporate Strategy engagements mostly in the Energy and Telecommunications sectors. 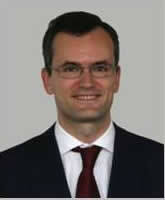 He holds an MSc in Electrotechnical Engineering from the Technical Institute in Lisbon (IST) and an MBA from INSEAD. He attended the Advanced Management Program at Católica Lisbon & Kellogg / Northwestern University. Pantelis Capros heads the E3MLab, a research laboratory operating, since 1988, within National Technical University of Athens (NTUA). He is full-tenured Professor of Energy Economics and Operation Research at the Department of Electrical and Computer Engineering of NTUA where he teaches Economics, Energy Economics and Mathematical Programming. 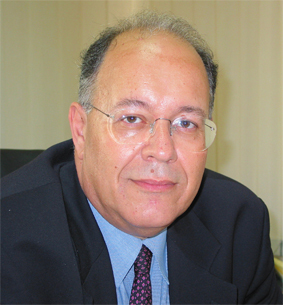 Prof. Capros has been the first Chairman of the Regulatory Authority for Energy in Greece (2000-2005), member of the Board of Directors of the Public Power Corporation (1995-2000), visiting Professor at University of Paris Sorbonne (1995-2000) and researcher at CEA in France (1979-1985). Prof. Capros has more than 25 years of experience in research, consultancy and studies, in particular for the European Commission and several Governments. Prof. Capros holds an engineering degree from NTUA, 3 Master Degrees in Economics, Informatics and Operations Research form ENSAE, University of Dauphine and a Doctorat d’Etat (PhD) in Mathematical Economics from University Pierre et Marie Curie. 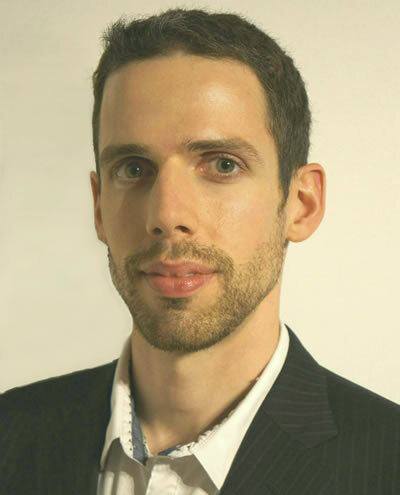 Pierre Dechamps works for the European Commission Directorate General of Research & Innovation / Climate Action and Earth Observation. He holds an electro-mechanical engineering degree from Liège University, a Master of Science from Cranfield University and a PhD from Liège University. He worked for 5 years as an assistant in Liège University, in the power generation department. Then he joined the Cockerill Mechanical Industries, one of the world leading heat recovery boiler manufacturers for power stations, where he became Head of the R&D Engineering Department. From 1998 to 2007, he worked for the European Commission Directorate General for Research as project officer for clean coal technologies and, later on, for CO2 capture and sequestration. From 2008 to 2014, he was member of the European Policy Advisers Bureau to the President as the adviser for energy, climate change and environment. 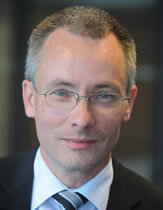 Derek W. Bunn is Professor of Decision Sciences at London Business School. Author of over 200 research papers and books in the areas of forecasting, econometrics, decision analysis and energy economics, he has been Editor of the Journal of Forecasting since 1984, a previous Editor of Energy Economics, and Founding Editor of the Journal of Energy Markets. He has advised many international companies and government agencies in the energy sector as well as evidence in arbitration and litigation. Colas Chabanne is Convenor of the ENTSO-E Working Group on Market Design and Renewable Energy Sources (MD&RES), which is responsible for developing and promoting ENTSO-E’s positions on long term market design and RES integration. Colas is Senior Market Designer at RTE’ Markets Department, involved on several topics related to Market Design and Regulatory issues (Demand Side Response, Capacity Market, Balancing). He is Project Manager on Demand Response for Retail Supply, and also performs high-level consultancy missions as Senior Advisor for RTE international. Júlia Seixas is a Professor at Faculty of Sci. & Technology at New University of Lisbon, where she teaches Sustainable Energy and Climate Change, and Remote Sensing of Environment. She also teaches in the PhD programs on Climate Change and Sustainable Development, and on Studies for Globalization. For the last decade, she has leading the Energy and Climate research group, at CENSE, mostly devoted on sustainable energy systems modelling. 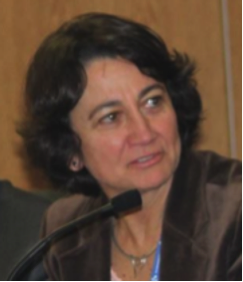 For more than 15 years, she has been the coordinator of several policy studies for the Portuguese government, related with energy and mitigation policies. She holds a PhD on Environment Engineering. 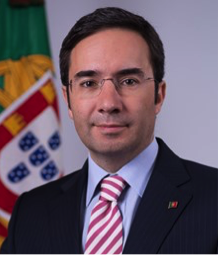 29-04-2015 The EEM15 is honored to announce the presence of the Portuguese Minister of Environment, Spatial Planning and Energy at the Opening Cerimony of the conference. 03-04-2015 Burhan Kiraç, from Ege University in Turkey, is the winner of the ITEM-Game International Competition 2015. Congratulations ! 09-02-2015 ITEM-Game International Competion is now open. More information and registration here. 03-02-2015 Registration in the EEM15 is now open with early bird conditions. 03-02-2015 Deadline for full-paper submission has been extended until 12 February 2015. 25-11-2014 Abstract submission deadline has been extended until 28 November 2014. 05-11-2014 IEEE Power & Energy Society is confirmed as Technical Co-sponsor of the EEM15. 15-09-2014 Abstract submission is open. Abstract template is available at the “For Authors” section. 28-05-2014 At the EEM14 Gala Dinner in Krakow it was announced that the EEM15 will take place in Lisbon on May 2015. The EEM15 promotes an international competition on investment and trading in electricity markets using the platform ITEM-Game. For more information click here. The H2020 EEM network, launched on May 2014, will be expanded in order to strength the network and building consortia for projects in the framework of the H2020 program.